Cydia has always been the go-to alternative app for Apple App Store. The Cydia offers what the App Store cannot. You can try paid apps for free, get tweaks, modified and cracked apps and more. However, Cydia is not always the answer. Cydia has a disadvantage, and that is the fact that to be able to use Cydia one must have a jailbroken iOS device. This is where apps like Kuaiyong, Zestia, HipStore, LocaliAPStore shine. Zestia is said to be the best alternative for Cydia for downloading paid apps for free on iPhone and iPad. Kuaiyong is one of the most popular Chinese App Store, and the HipStore has an excellent collection of apps as well. The LocaliAPStore is different. The app allows the iOS users to bypass the payment page of App Store apps and get to the download page for installation. Sound interesting? Here I show you how to download Kuaiyong, Zestia, HipStore, LocaliAPStore for iOS. Kuaiyong is a Chinese app for the iOS devices. It is also a Chinese alternative to the App Store. The Kuaiyong has a good collection of Chinese apps for the iPhone and iPad users. You can not only get paid apps for free but can also gain access to unlimited coins, cheats and tweaks for any apps. There are two ways to download Kuaiyong app for the iOS device. You can directly download the app to iOS device from the Official website or get the PC client for Kuaiyong and install required apps from the PC to iPhone. The PC client although requires you to have a PC, can be the best choice as it allows you to install the apps without having to download the Kuaiyong app to the iPhone and iPad. Zestia is said to be the best Cydia alternative ever. 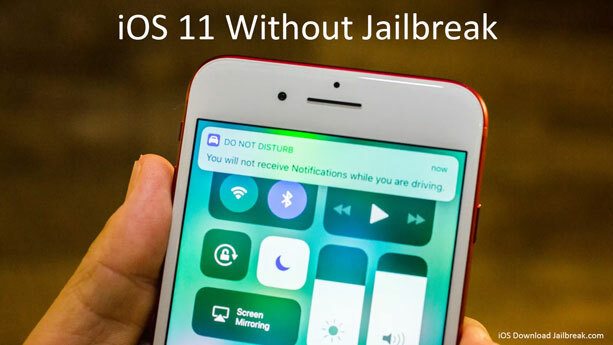 The app may not offer all the features that Cydia offers due to the restrictions on non-jailbroken iOS devices, but the app is the best choice if you don’t want to jailbreak the iOS device. Zestia offers latest tweaks for all the applications available in the App Store. You can also download paid premium apps for free and try the app before purchasing it. The app was also known as X-Cydia and support all the version of iOS devices running iOS 9 and above. HitpStore is another Cydia alternative that comes with a huge collection of cracked and paid apps for free. Some of the most popular apps offered by Hipstore include Spotify++, MovieBox, Snapchat+, YouTube++, Animoji Studio, PlayboxHD, Tinder++, Aero Tv etc. You can learn more about the HipStore app from our guide on how to download HipStore on iOS without jailbreak. LocaiAPStore is a unique app and not an App Store alternative. LocaliAPStore allows you to download paid apps from the App Store for free. How? When installed, the LocaliAPStore enable the user to bypass the payment page of any app on the App Store and takes them to installation page making the app free to download. The only downside to the app is that it can only work on one-time purchase apps. In case, you want to bypass an app that has a monthly subscription then LocaliAPStore does not work. We have detailed guide on how to install LocaliAPStore on iOS without jailbreak along with a list of apps you can download using the app from the App Store. So these are some of the apps that enable the users to download third-party apps that otherwise are not available on the Apple App Store to their iPhone. Since the third-party apps are not from Apple trusted developers, we would advise you to be careful about what you download and install on your iOS device.